WARNING: The following review does contain spoilers for Series 7, Part 2 of the Doctor Who TV Series. It might also contain spoilers regarding the upcoming 50th Anniversary Special. Read no further if you wish to remain unspoiled and know that this comic is bloody brilliant and well worth reading, even if it is read a few months from now. This month's issue of Doctor Who will be of interest to fans of the show for one reason above all others. 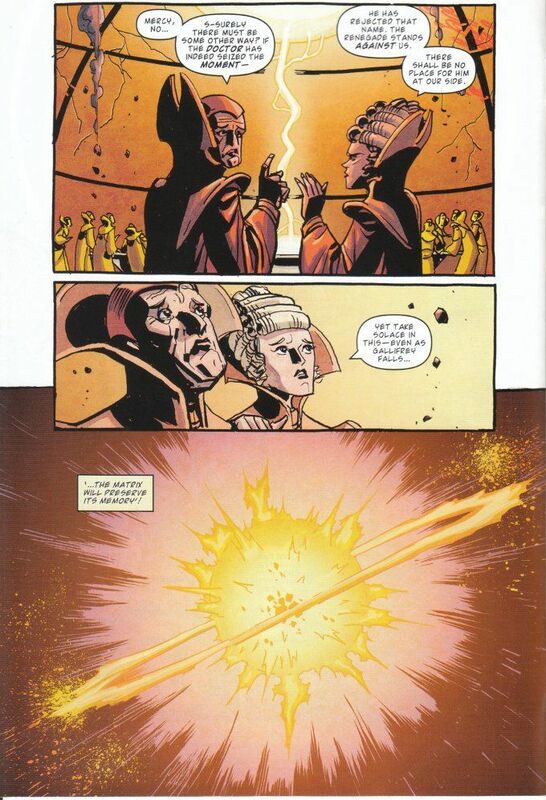 A flashback at the start of the comic seems to confirm what, so far, had only been speculated - that the Time Lord we saw at the end of The Name of The Doctor was an incarnation of The Doctor from the time of The Time War. One who refused the name of The Doctor and who fired the metaphorical bullet that removed The Time Lords from the universe. Ignoring even that factoid, there is much to admire in this issue. Writers Andy Diggle and Eddie Robson have built upon Diggle's story The Hypothetical Man and created a villain truly worthy of The Doctor. 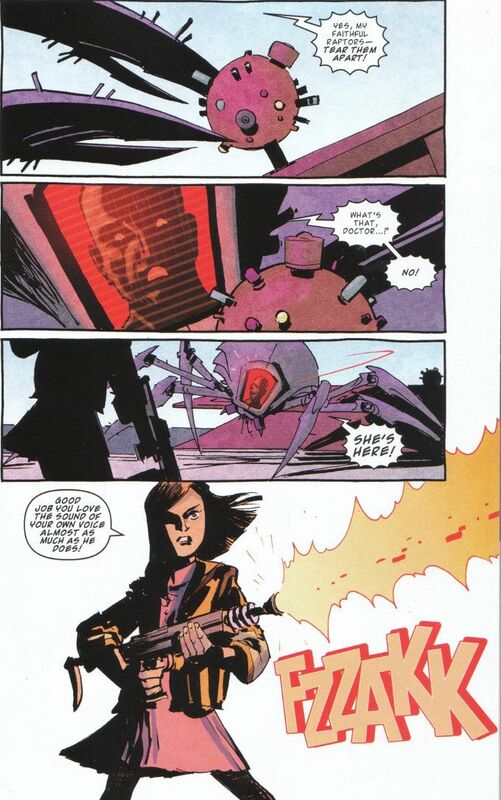 More, they give a depth of character - and dare I say, a level of sheer awesomeness - to Clara Oswald that she did not receive in the television program. If this issue has a weakness, it lies in the artwork of Andy Kuhn. Khun's style is good and a worthy fit for the Steampunk aesthetic of this story but his work in this final part of the Sky Jacks storyline does seem somewhat rushed and uneven at times compared to previous issues. Still, the overall affect is a good one and this issue has more good than bad and a few parts that are honestly great.